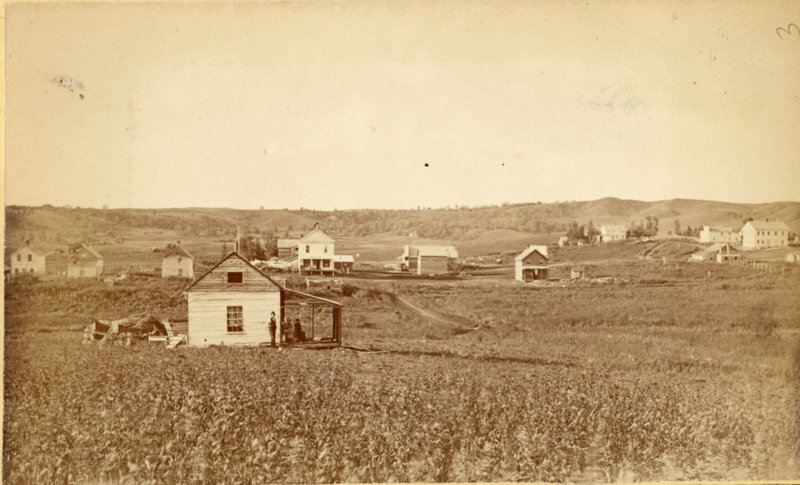 This photograph shows the village Glenwood in 1876. The road leading away from the viewer is now Franklin Avenue / Highway 104 heading north. Most of the buildings on the left – middle of the image are along First Avenue NW. The first home to the far left was the Scott house and printing office, then Sheriff Joe Peackock’s home, then the Emmerson and Tollefson Store. All of these buildings will be featured in future posts. The next house from the left is in the foreground. The land at that time was owned by Lathrop & Kinney. I am not certain who owned or lived in the house. 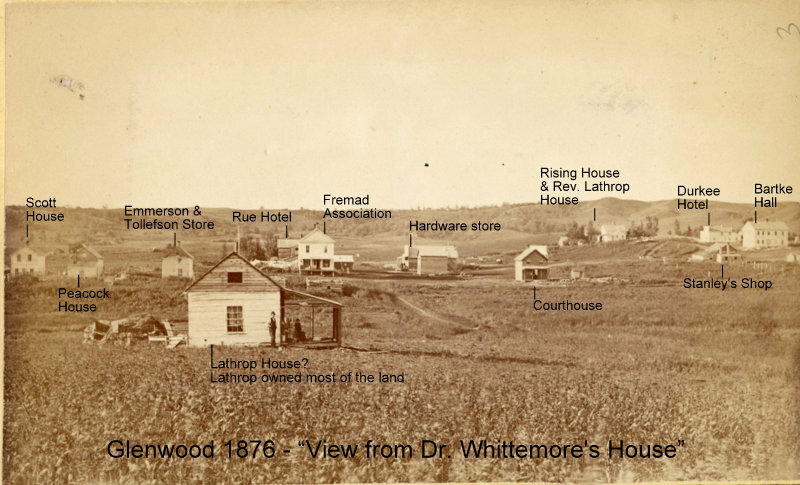 This entry was posted in Local History and tagged Dr. Whittemore, Early Glenwood, Franklin Street, Fremad Association, Glenwood Minnesota, Pope County History, Trenham Photographs. Bookmark the permalink.